Good. Foxing to block edge, Mild wear and signs of ageing but a good reading copy. 1964 reprint. Very good. The page edges are clean. James Joyce's autobiographical Portrait of the Artist as a Young Man famously begins, "Once upon a time and a very good time it was there was a moocow coming down along the road and this moocow that was down along the road met a nicens little boy named baby tuckoo. . ." It concludes with the protagonist Stephen Dedalus's journal entry: "Welcome, O life! I go to encounter for the millionth time the reality of experience and to forge in the smithy of my soul the uncreated conscience of my race." Between the opening of the bedtime tale recited in the father's voice and Dedalus's adult voice, Joyce effected a revolution in the structure of the novel. Enough has been said about the author's use of interior monologue, multivocal narratives, and stream-of-consciousness technique. 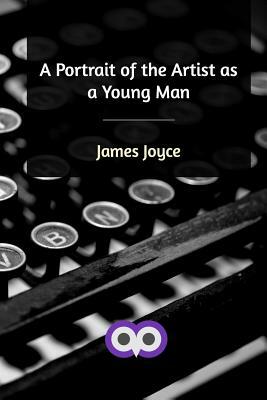 What Joyce does so remarkably well is to inhabit Dedalus' mind so that the reader follows his inward journey through childhood, adolescence and early adulthood. In the process, we have felt sensations of beauty and repulsion, meditations on the colonization of language, allusions to the Irish troubles, a pervasive sense of Catholic sin and damnation, and (like Joyce) Dedalus's growing opposition to the institutions of family, church, and state. The salutation that ends the novel is also a farewell to Irish repression, an assertion of titanic conviction and ambition (which would be fully realized in Joyce's masterpiece Ulysses), and a salute to the European continent's artistic freedom. The novel contains passages of unsurpassed beauty. Here is a random example: "The chapel was flooded by the dull scarlet light that filtered through the lowered blinds; and through the fissure between the last blind and the sash a shaft of wan light entered like a spear and touched the embossed brasses of the candlesticks upon the altar that gleamed like the batle-worn armour of angels." Apart from Joyce's obvious influence on novelists like Faulkner, Wolfe, Dos Passos and so on (but not Woolf), it should be said that the felt experience of reading Portrait of the Artist doesn't compare to many other novels. One has the sense that he or she is privileged to share the inner life of a bright, uncannily sensitive character. Dedalus (and Joyce) used the word epiphany to describe an augur or sign of the spirit in ordinary life. Be prepared to register a series of epiphanies when you read Portrait. James Joyce tells a poignant story of his experiences in Jesuit run academy for boys in Dublin. His description of his home life, with many siblings, a financially insecure wage earner, and new deprivations set the stage for a young man entering a catholic academy. How he relates to his peers and Jesuit instructors,and his reactions to a strict catholic environment forms the earliest part of the book. His eventual "fall from grace", and how he deals with his sexual nature and guilt becomes the main discussion through his inner reflections, and eventual reconciliation with his faith. Nearing the end of the book however, conflicts arise in his beliefs, and he is challenged to find new directions for himself. I found the book to be a serious text of the self awareness of a young man, entering his maturity with many unanswered questions. I recommend it to those with a philosophical bent, and interest in human motivation.